Today is the day I do my ‘alumni’ show on WLTL and I’ll be hosting this afternoon from 2 to 4 pm. I will be brining along two second generation broadcasters to keep me company. 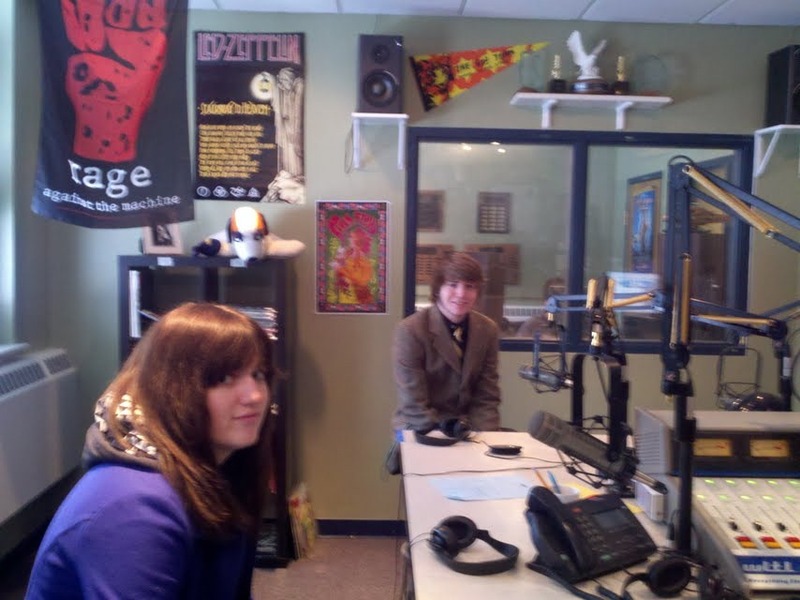 My son Matt was on the radio station at Downers Grove South during the 2008 school year and my daughter Jenna was on during the 2009 school year. We will be playing some alternative Christmas music, talking about their radio experiences and maybe take a trip back to 1979. Tune in to 88.1 FM if you in the LaGrange area or you can stream the show from http://www.wltl.net/rock/index.php and click ‘listen live’. making an immediate left into the news room/PSA prep area and then into the actual DJ area, you step down and keep going straight where the room opens up into basically a living room/green room complete with couches a TV and some computer workstations. Along the left wall (the Brainerd side) there are now three studios: a smaller prep recording studio, the main large broadcasting studio and then another smaller prep studio. The main broadcasting studio is about three times the size of our original studio we had in ‘79 and the only remnants of that era that I could see was two rows of record albums stacked on shelves against one of the walls. They have the top wall section of the ‘green room’ nicely decorated all the way around with many of our old school record album covers in individual frames. Each album is numbered with what I would guess is the code to find the songs on the mp3 digital system. It is nice that they kept a touch of the past in this new very impressive area. Thanks to the WLTL staff and advisors for letting me be a part of this years alumni week. I look forward to participating again next year and hope to get a few of my classmates to do it with me.